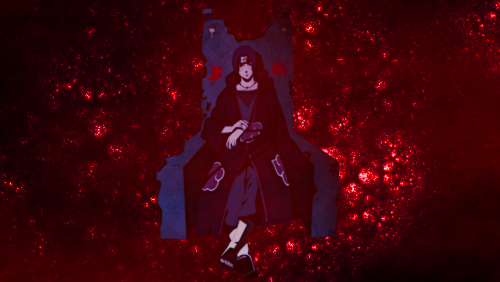 Entering the living room of the Uchiha Hideout did Itachi look to the couch with only his eyes, no other movement gave away a sign of him telling Akira to sit. Itachi simply wasn't the caring type but Akira was his partner and he was willing to work together with her along with helping her. However, the talking would still continue as he reached for a first aid kit which was located on one of the shelves in the room. Itachi silently brought it over and placed the first aid kit down along with him sitting beside Akira, with a blank voice did he say "Your arm." Itachi merely waited to see if Akira would give him her arm, some would think this as some kind of trust test. Location : It's a secret. Akira had looked to Itachi when they entered. She had know all of his motions by now and sat when she saw his eyes move that way. She looked around for a moment because it had been a while since she was in this room. She heard Itachi speak and looked at him for a moment. "Uhh Yeah Ok." Akira said this was the first time Itachi had done something like this for her. She trusted him enough since he was her partner and she respected him. Silently he opened the box which held the items which were meant to treat wounds, his hand skillfully took out a few items which were meant to clean and treat the wound. Itachi merely placed medicine on the cloth and simply placed it on the wound which was on her arm. While he was doing this task did he say blankly. "I also wanted to speak to you about the meeting. ", never once did his eyes leave from his work of caring for her wound. Itachi hardly ever do this for people, this showed that Itachi really wanted to work with Akira. 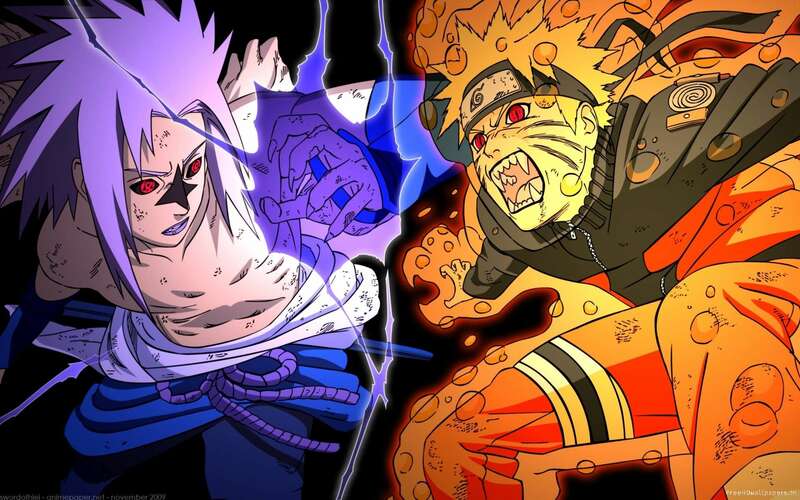 However, it was hard to say how he felt about her attacking other members of the Akatsuki. It would seem he would have to train Akira further in her skills of communicating with the other members as well as not taking their words so seriously. Akira watched as Itachi tended to her wounds. This would probably never happen again and Akira was glad it didn't really suit Itachi. "What about it?" Akira asked. She didn't exactally know wat he wanted to talk about. She didn't really understand him much when he spoke. Then she thought they might have different opinions on what was said. So, she would listen to what Itachi had to say. Itachi merely removed the cloth and began to place a bandage upon the wound now, he heard her question though which was why he spoke up calmly. "How should we approach this, without mistakes. ", he mainly said this only due to the fact that he did not want to fail but at the same time he wanted to know how Akira feels and what they should do together to reach both goals. If they were to have different points, perhaps they could work together to reach both. Itachi was usually observant with people and now he was being observant with his partner and how she feels. Akira listened to Itachi's question and thought a moment. She recalled something that she was told when she first entered the Akatsuki. She had been told that pain was the only way to bring peace to the world and she would be a great help. Akira looked at the floor, "All I want to do is take the Kirigakure Village's tailed beast and then they will be helpless. Once that happens I want them to be destroyed so they can feel the pain I felt when everything I loved was destroyed. Then, I will have fulfilled part of Pein's dream to bring peace to the world and I will have had my revenge. After that I will do whatever I am ordered." Akira had thought about this many times and that is all she wanted. Itachi calmly heard Akira's words and stopped treating her wound just so he could look at her face for a moment. It was clear that he was thinking about everything that she had said, the only question was how he felt about it. No emotion showed itself on his face and he merely nodded to her response before speaking calmly, "You will need clothes." Itachi was not certain if she had clothes on her or if she wanted to go back to the base and get some more. However, he wanted to keep a eye on her just so she doesn't get into another fight against another member. Itachi brought up that remark about her clothes for he was not sure if she had any there in the Hideout, the only clothes within the hideout were clothes that belonged to him. Akira stared at the floor for a moment after saying her words with a weird little grin. After she heard Itachi's voice, she snapped out of it. Then she smiled and looked cheerful again. "Oh Yes! I will have to go get some from my room. Hmmm I don't know about they whole going back there though. That one girl is there..." She kept on and on like nothing had just happened. She did this alot but she not alot around Itachi since he wasn't much of a talker. It was almost as if she forgot Itachi was there. Akira spoke up after a moment of looking off somewhere and he simply sat there silently but then glanced to her when she finally spoke. She spoke about going back to her room at the base and if that was what she decided then he could go with her to make sure she doesn't do anything again. "If you want to go back then I will accompany you. ", his eyes left her face silently as he went to stand but then looked to the first aid kit. Itachi was not sure if she had anymore wounds and so he will have to ask now before leaving so he stated blankly. "Are you hurt anywhere else? ", he stood there while shifting his eyes back onto her for he waited for her to speak. Akira stoped in the middle of her sentence when she heard Itachi speak. She then looked at him, "No the rest are just scrapes and bruises so I will be alright." Then, she smiled again, "Shall we go?" She only followed Itachi's lead so she waited for his answer. Itachi merely looked forward as he began to walk to the door leading out of the living room, her response about the other wounds seemed truthful and so he did not worry. With no emotion did he stop for a moment and looked back toward her for a moment. It looked to be like he was checking as if making sure she did not lie about her condition but since no emotion was clear on his face it was hard to tell. Itachi simply opened the door and stepped out silently. Akira watched as Itachi headed for the door. She quickly stood up and followed him out the door. She walked with a slight spring in her step as she always did when she was happy. Akira smiled as they left for the hideout.